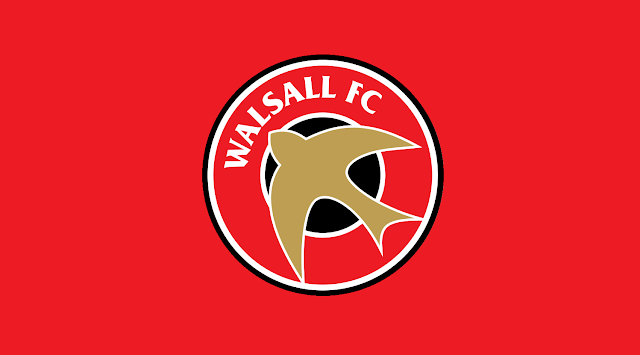 Walsall goalkeeper Joe Slinn, defenders Dan Vann and Callum Cockerill-Mollett, and winger Tobias Hayles-Docherty, are currently spending time away from Banks's Stadium as they look to force their way into Dean Keates' first-team plans. Summer signing Slinn is on a season-long spell with Rushall Olympic, whilst academy products Vann, Cockerill-Mollett, and Hayles-Docherty are enjoying short-term stays with Chasetown and Halesowen Town respectively. Joe Slinn was not in action on Saturday as he suffered an injury ahead of the Pics' Evo-Stik Southern League Premier Division Central fixture against bottom-of-the-table Bedworth United. Slinn was replaced by West Bromwich Albion youngster Adam Przybek with the Welshman helping his new side secure the win as goals from Sam Whittall, Danny Waldron, and Ben Lund saw ten-man Rushall win by three-goals-to-one. Dan Vann and Callum Cockerill-Mollett continued their spell in Chasetown's starting Xi as they were named in the team to face Colne in the Scholars' latest Evo-Stik Northern Premier League Division One West fixture of the season. Chasetown made it four games unbeaten as they bounced back from Alex Curran's deflected free-kick to secure a point in the second-half as Jazz Luckie slipped the ball past Hakran Burton in the Colne goal. More all-important minutes for Vann and Cockerill-Mollett as they continue to make the most of their time at the Scholars Ground. Tobias Hayles-Docherty was back in Halesowen's starting eleven on Saturday afternoon as his side, who are now under the management of former Hednesford United duo Rob Smith and Larry Chambers, took on Stratford Town in the Evo-Stik Southern League Premier Division Central. Sadly, here was no dream start for the new manager as his side slipped to a two-nil defeat with goals from Wilson Carvalho and William Grocott seeing Stratford comfortably home to victory. Plenty of work for the new gaffer to get his teeth into over the coming weeks and months.